As a loyal customer and general fan of the firm, I keep close tabs on many of their auctions. 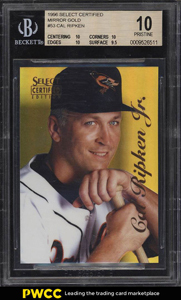 They just sold some of the rarest baseball cards of the 1990s. 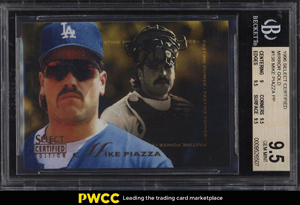 Here's a run of 13 different cards from the 1996 Select Certified Mirror Gold block. If you're like me, and knowing these have print runs of just 30 copies, there's a good chance this is your first time seeing some of these. Enjoy reviewing the images and end prices. 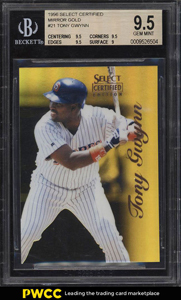 As a passionate Frank Thomas and general baseball card collector, I keep a Most Wanted list. 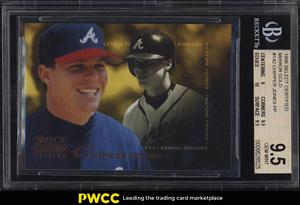 Among others are just three cards from 1996. 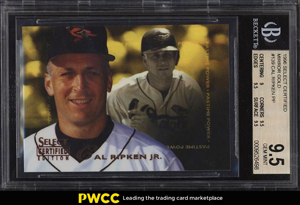 Two of which are from the ardently collected 1996 Select Certified Mirror Gold parallel set - cards #1 and #135. Over the past two years, I've seen two copies of card #1, which seems like a fluke seeing that I'd never seen one made available prior to those two appearances. 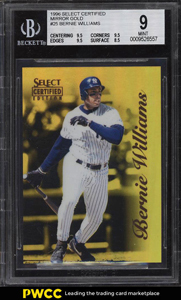 In a previous post, I share insights and a record of notable sales of cards from this elusive set. So I'd seen card #1 sell for between $3-4000, which didn't surprise me. Although, I think my blogging about this set has helped push the values of cards from this set up, which is both good for the hobby and the economy so in a way, that makes me happy. However, I think I've pretty much set myself up for likely having to pay more when I do finally get the opportunity to buy card #1. So what about card #135? 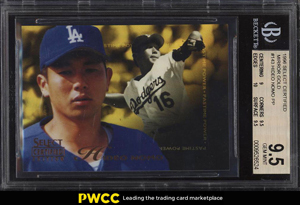 I'd never once seen a scan of the Mirror Gold parallel of card #135, which hails from the Pastime Power subset at the end of the set - cards 135 to 144. I'd only ever really dreamed of seeing it. 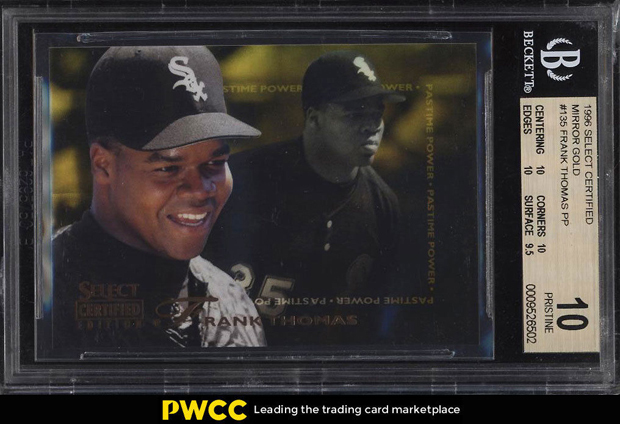 Back in 2014, I created a very raw visual list of top Frank Thomas cards I was chasing and in it was this card. The document was created in Google Docs and the purpose was to share the document with others in an effort to find what was on the list. The list included visuals and item data. Thing is, I didn't have an image of this card so I played around with a another version of it in Photoshop and created what I thought the card might look like. The final result looked like crap but I used it anyway. The list didn't yield any results so I scrapped it and eventually replaced it with the Most Wanted page on the Museum. 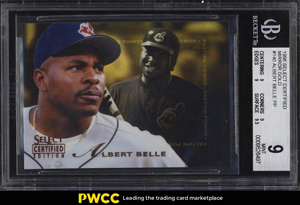 They recently sold a block of some of the most elusive cards from this set and among them was, to my surprise, card #135. Timing is everything and sadly, it wasn't good timing for me. I knew I wasn't going to be able to muscle any form of competitive buying power so I figured I'd just archive its history here for reference. 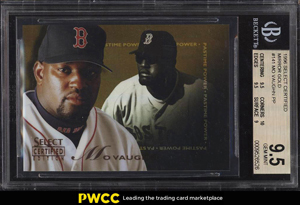 While I'm sad not to have secured this example, there are 29 other copies of this card floating around the ethos so who knows, maybe we'll meet again.